Home>Domestic Chainsaw user- maintenance and beyond! Domestic Chainsaw user- maintenance and beyond! A popular course aimed at domestic chainsaw users, either novice or for those with a little experience wanting to extend their skills. This course is run as a small group and workshop topics include; chainsaw maintenance, PPE selection and use and emergency planning. Also included is safe starting of the chainsaw from cold, safety checks and basic crosscutting typically for firewood applications are covered in the afternoon. Chainsaw training can occasionally be delievered on your site, if appropriate. Please contact us to discuss your requirements. There are no pre-requisites for this course other than a keeness to learn about the safe use of a chainsaw! Our chainsaw training courses are held at our site in Lamberhurst, where we have a fully equipped heated workshop and plenty of trees for practice. What did other people think of this course? "Excellent - improved my knoweldge and confidence. I learnt loads - proper use of tools/ equipment + safety. Maintenance of my saw was an added bonus." "Very well juggled programme. Maintenance overview seemed spot on for a domestic user. Scott is obviously a very experienced trainer. The value for money from this course is superb." "Very friendly. pitched right at my level. Fun. Happy to use a chainsaw - within the course parameters!" "I'm writing to say how useful I found Scott's chainsaw training course last week. A couple of days later, my wife and I went to our woods and got a "tank full" of logs cut. 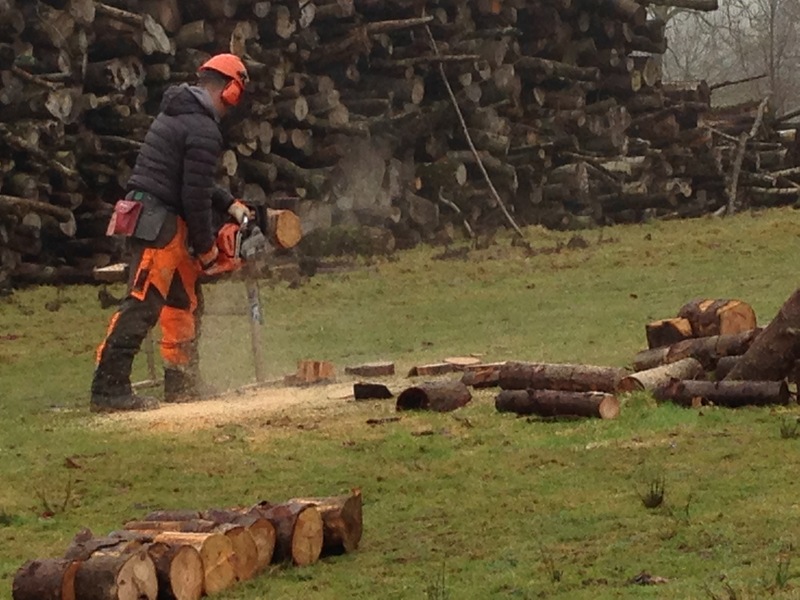 The course really helped in my confidence with the chainsaw." "Excellent course - lots of ground covered in friendly and professional way. Scott is very quick to give constructive feedback. I didn't realise how much I could achive."